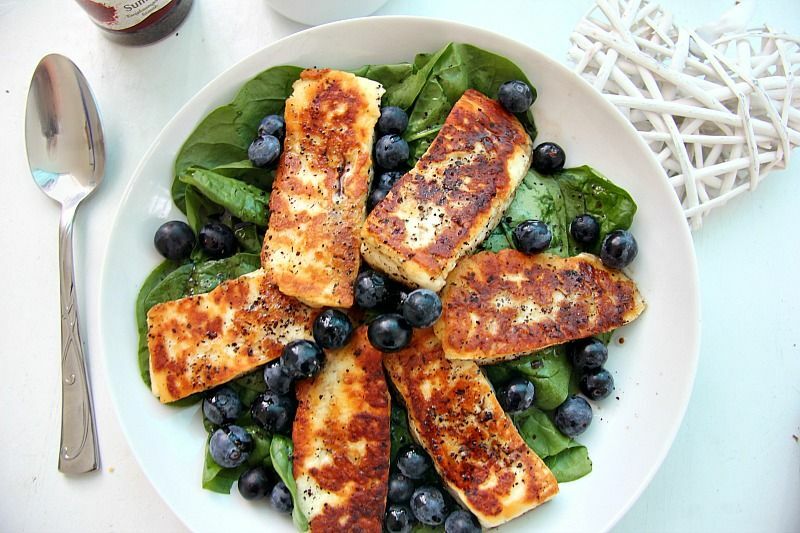 Cut the Halloumi cheese into slices or even cubes. Heat the olive oil in either a frying pan or a griddle pan. Gently fry the Halloumi until golden on each side. You could also BBQ these slices. Mix the salad dressing ingredients. Place the spinach in a bowl, put the Halloumi cheese pieces on top of the spinach. Sprinkle the blueberries over the salad. 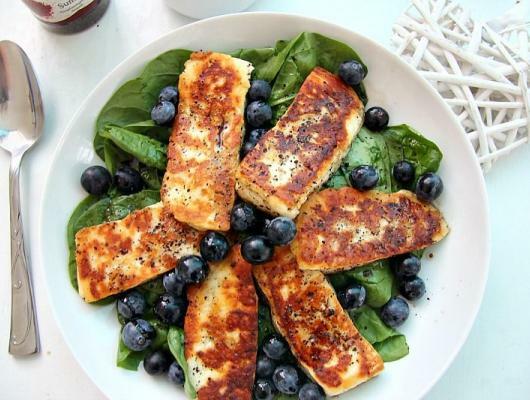 A vibrant Halloumi, blueberry and spinach salad that is a contrast of textures and flavours. Bright colours and rich tastes combine for a hearty dish.